Russ Henson, building inspector for the county, said Georgia Theatre Company plans to open the 16-screen facility by Memorial Day of 2013. Grading continues on the shopping center, which will stretch from the Oconee Connecter intersection with SR Loop 10 to Epps Bridge Parkway. The four entrances off the Oconee Connector and the one entrance off Epps Bridge Parkway are now clearly laid out. The theater building will have one story and a mezzanine. 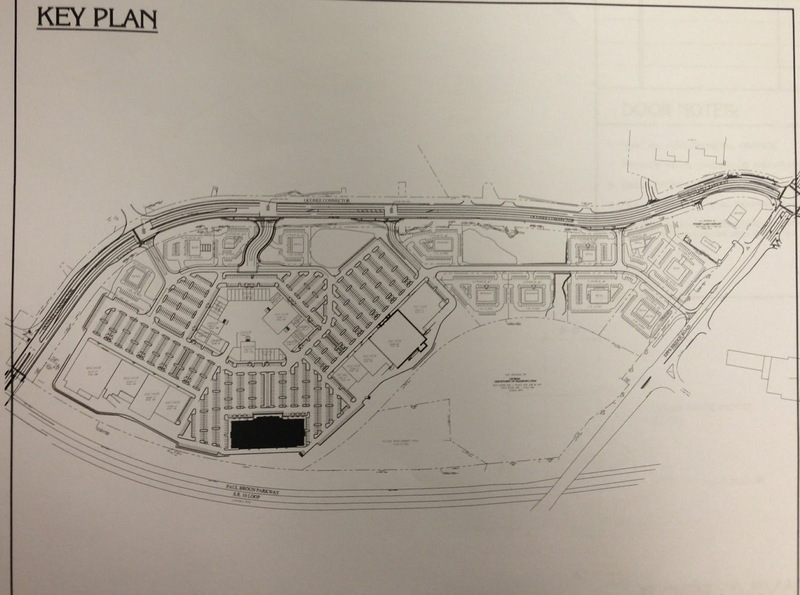 Preliminary site plans show the theater close to SR Loop 10 with anchor stores and parking separating it from the Oconee Connector. The facility will contain two theaters seating 344 persons, two seating 270 persons, two with 212 seats, two with 194 seats, two with 138 seats, two with 115 seats, two with 95 seats, and two with 85 seats. One of the 344-seat theaters is labeled the red theater, and one is labeled the black theater. The county issued the foundation building permit on Oct. 10, and the shell building permit on Oct. 29. The permits were issued to GTC Epps Bridge LLC, 50 Cinema Lane, St. Simons Island. The company was registered with the Georgia Secretary of State on Oct. 19, of 2011, by Rawson C. Gordon, an attorney and developer based in St. Simons Island. The detailed plans submitted list Georgia Theatre Co. II as the owner and developer, with the 50 Cinema Lane address. Georgia Theatre Company also operates the Beechwood Stadium Cinemas 11 and the Georgia Square Value Cinemas 5 in Athens as well as theaters around the state, in Florida, South Carolina and Virginia. Benning Construction Company of Smyrna was the applicant for the building permits. I am puzzled by this development in that all I read says attendance at movie theaters is declining.